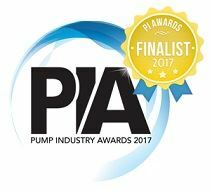 Voting will soon close for the 2017 Pump Industry Awards (PIA) so it’s time to find out more about the 2017 finalists and cast your vote. Danish pump manufacturer DESMI has opened a new 3000 sq m production facility in Hyderabad, India. Danish pump manufacturer, DESMI, has introduced OptiPower, which ensures maximum performance of electrical networks in marine and industrial installations.